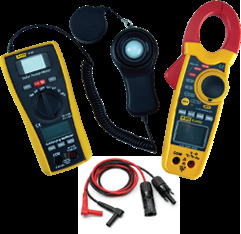 The SL300 is a professional Solar PV test kit designed to assist in the installation of Solar PV systems. 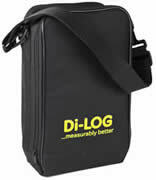 The kit includes the SL102 - Irradiance Meter and the DL6402 – AD/DC Current Clamp all packaged in a soft carry case. The SL102, with its Multimeter like design, enables you to perform safe and accurate measurements, even when working at heights. The SL102 also features a dual display which allows you to simultaneously record the Irradiance level and Voltage output (VOC) with the panel connected in situ via SLLSC4 – 4mm MC4 lead set provided.